The era of social video has arrived on Twitter. But with it come unique challenges. How can I use video on Twitter? What type of video content should I create? How can I tap into real-time Twitter conversations? I'm going to show you exactly how to make Twitter video work for your business. Below are 7 ways you can use video to engage with the people that matter to your business! Want a competitive edge over your competition? Make these 25 Tools a part of your marketing strategy! If you scroll through your Twitter feed, you’ll see a few videos, but not as many as you’d find on Facebook or Instagram. Unfortunately, there are still a lot of people who don't see any value in sharing videos on Twitter, and that's a huge mistake. According to Cisco, video will account for 80% of global internet traffic by 2019. 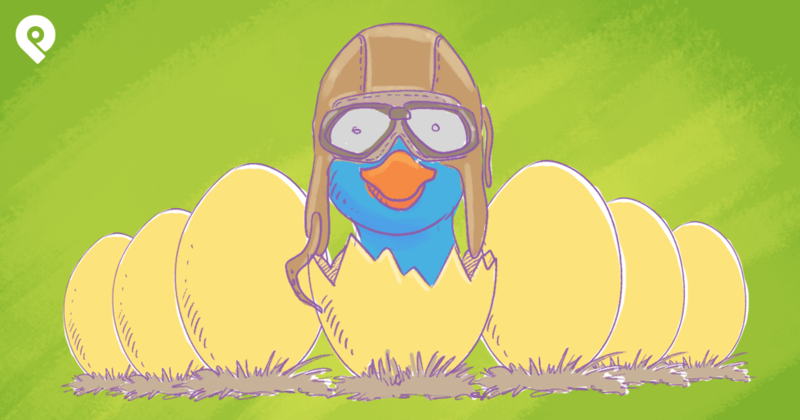 Twitter video is a great opportunity to get noticed and grow a Twitter following. It’s also a great way to reach people on their phones and while they’re out and about. After all, 93% of Twitter video views happen on mobile devices. It’s no wonder that Twitter is placing high hopes on Video. Convinced? You should be. Now let's take a look at how and what you'll want to share. You can upload your existing videos from desktop straight to Twitter.com. You can use the Twitter app to record your videos. This is an easy way to quickly respond to comments, share quick tips or insights. You can then edit (delete a part of the video or re-order the video clips) and share your video directly to Twitter. If you’re an iphone or ipad user, you can import videos directly from your device. Perhaps it’s a funny video you recorded or one of the tips you prepared beforehand - simply upload it from your phone and tweet. Live streaming right from your phone or mobile device is a fantastic way to share your thoughts and experiences in real time. It can also help build a more personal and authentic connection with your followers. According to Bain, younger users are using live video to consume content at a fast pace. Why not meet them where they're at in the exact format they crave? Previously, Twitter videos were limited to 60 seconds, but today you can upload videos that are 2 minutes and 20 seconds long. 2 minutes and 20 sec = 140 seconds. We all know how much Twitter loves the number 140 😉. But if you try to go over those 140 seconds, you’ll have to trim the video down. There is, however, one way to share videos that are longer than 2min 20 seconds but you’ll have to pay for it. That’s right: Twitter Ads and video cards can run up to 10 minutes. As for format, Twitter supports MP4 video format with H264 format with AAC audio. Your video must also be under 512MB. Now, FINALLY on to the good stuff! People value time and effort. That’s why if you want to take your Twitter replies to a whole new level, think about recording and sharing a video instead of the standard 140 character reply. Say anything else you would have said in a tweet. The possibilities are endless. A video response is much more engaging than a regular tweet is. It's also a fantastic opportunity for your followers to connect with you on a more personal level and put a face behind your brand. You’re giving people your personalized time - and we all know how precious that is. Besides, you can say so much more in 140 seconds of video than you would have ever had room for with just 140 characters. AND the coolest thing: so few people are doing this! What a fantastic opportunity to gain an edge over your competition, don’t you think? Remember how I said that Twitter Live video is the future? Well, sharing real-time events is one way to tap into that. In fact, sharing a video around a live event increases brand favorability by 63%. Would my audience find this interesting, valuable, or entertaining? If the answer is "yes" to both questions- grab your phone and go Live! Give your audience that sneak peak. Make them feel like they’re there, and they will love you for it. You will get more engagement, interactivity, and attention. But make sure to involve your audience and let them become a part of it. If you just live-stream the event from the same location and without sharing extra insight - your viewers will get bored very quickly. Instead, you need to be their eyes and ears. Walk around and show them what’s happening in different locations. Comment and share your own insight. Spotify did just that. 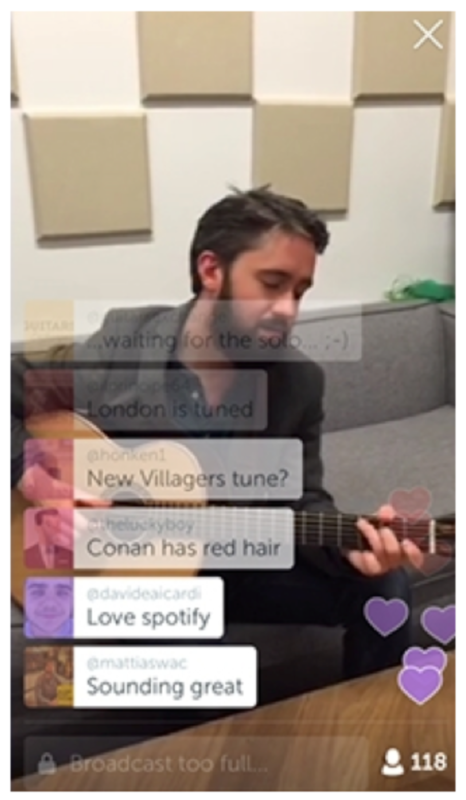 As soon as Twitter Live video became an option, the brand went live to give their audience a behind-the-scenes look at Conor O’Brien (Irish folk singer) singing. Extra Tip: Don’t forget to keep an eye on the mentions: there might be questions and comments coming in. Take this opportunity to respond to the comments in real time - make your audience feel heard. According to Twitter Ads Playbook, almost half of the users who took part in their study, were able to recall video ads even after one second of viewing. That's because Twitter video ads elicit a high responce. So, if you want your video to get seen by a large number of targeted and engaged consumers, consider giving Twitter Video Ads a try. However, don't let the Twitter auto-play scare you: Twitter is only charging if the video is 100% in-view on the user’s device, and has been watched for at least 3 seconds. Don’t forget to target your ads correctly so they reach specifically those people who are more likely to engage with your video. You should also consider running a First View video ad, an ad option that gives your video top placement for 24 hours. These are particularly effective as Twitter's recent study showed that users are more receptive to video at the beginning of their Twitter session. In fact, the first video in the timeline generates a 22% uplift across all metrics compared to the subsequent video views. Extra Tip: Make your Video mobile friendly. Most people are watching videos on mobile and they will be more likely to notice and engage with your video if it has the right dimensions. Twitter video is a fantastic way to build a lot of buzz. If you’re launching a new product or hosting or participating in an event, start promoting beforehand. You can event tease a new contest or piece of content. This is a fantastic way to build up anticipation and get people talking, sharing, and clicking. But remember to keep your teaser - short and sweet. Users want bite-sized content, especially on Twitter. It should be just long enough to give a preview and get your audience excited for the release. 30 Seconds will usually do the trick. Accordiung to Twitter, even 30 seconds may be too much! 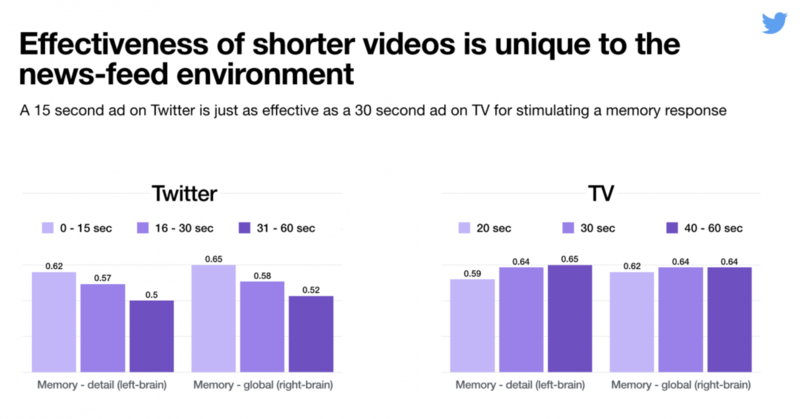 Research shows that shorter videos of 15 seconds or less are more likely to drive memory encoding than videos of 30 seconds. Also, try to start your video with a Bang! Twitter videos are now auto-played within the timeline. Thus, if you don’t catch people’s attention in those few seconds while they’re scrolling - you’ll miss out on an opportunity to get a lot of views and potential follows. But don't take my word for it! According to Twitter, an early story arc, leads to a 58% increase in a user watching a video past the first 3 seconds. Extra Tip: Don’t forget to include a call-to-action (CTA). Give your audience direction and they will follow it. You can tell them to follow you for more updates, sign up for your event, etc. This is one of my favorite video tips - because it’s so undeniably simple and yet so effective. You can recycle one or more of your images (such as a blog cover image or an event promotional image) and turn it into a short video or GIF. Or you can create an engaging animated quote. The convenient thing about this is that you don’t have to create any new images, or do any fancy filming or editing. Just drop you visual into a tool such, such as Adobe Spark, add text if needed, and choose the animation effect. This is something we do all the time to promote our content or share inspirational quotes. It takes a minute to create but usually gets much more engagement than a simple graphic. Thus, it's not surprising that How-to-video are especially popular on Twitter...as are videos that share tips and hacks. It forces you to create short and simplified videos (Hint: those are the ones people love the most 😉 ). When creating one, make sure that you’re presenting your information in an engaging and interactive way. Remember, your goal is to get the viewer to take the next step: follow you, or click through to your content or site. I suggest speaking (or have someone speak) into the camera, at least in the beginning. Videos that show people in the first few seconds see a 133% increase in response. 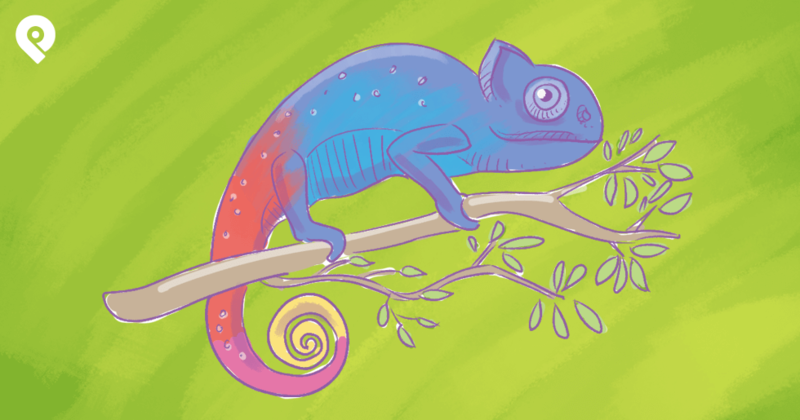 Whatever you do, don’t forget to make your educational video visually appealing. People are visual beings, and nobody will give your video a second glance if it’s dull, blurry, or visually uninteresting. Extra Tip: Share these informative videos in the morning. 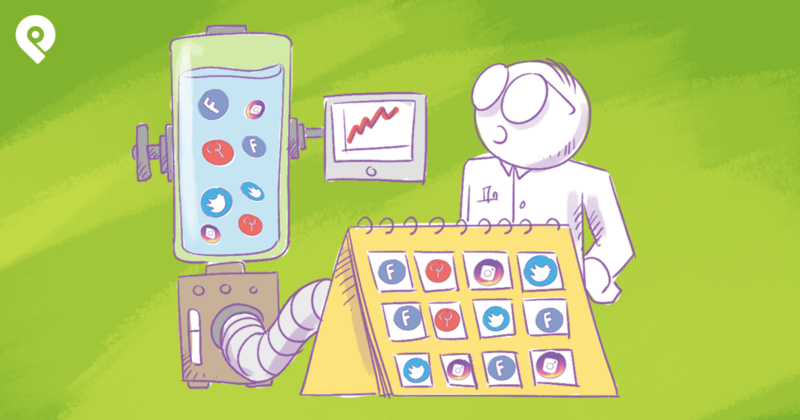 According to a recent Twitter study, content that's shared in the morning is more likely to elicit personal relevance and generate detail-oriented memory encoding ( a more emotional/bigger picture memory response is seen later in the day). Thus, the morning is the perfect time to share tips, how-to's and other informative videos. ...Who may love it and decide to share with their audience. That’s great, but if your goal is more Twitter followers, you’re probably looking for a more direct way to get your Twitter content in front of new audiences. 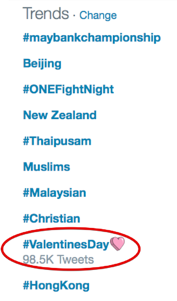 That’s why you need to jump on trending topics and trending hashtags. Doing that gives your tweet the potential to reach thousands and millions of new users. Your video may show up under their Explore tab, or in the search if a user searches for that topic specifically. To find all the trending topics, simply look under the new Explore tab and see what topics and hashtags are the most talked-about. But remember: just because something is trending, that doesn’t mean you need to tweet about it. Jump on only those topics that are relevant to your brand and you audience. Extra Tip: Consider adding subtitles to your video. Subtitles draw people in and make them stop mid-scroll. In fact, videos with text are 11% more likely to be viewed and generate 28% higher completion rates than those without them. 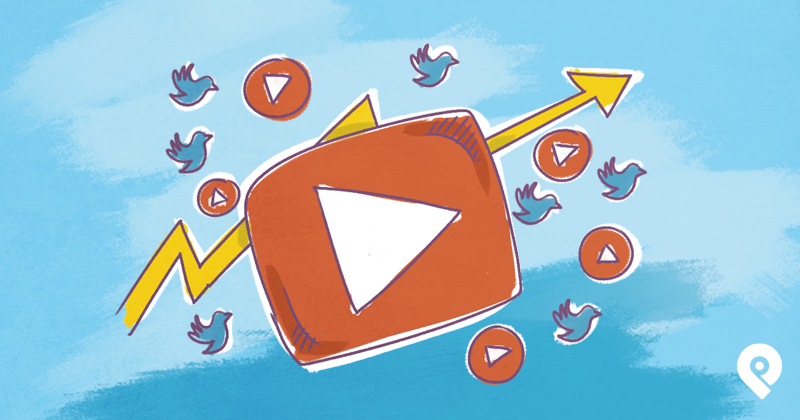 It's how best to leverage Twitter video to get followers, engagement, and ultimately - ROI. 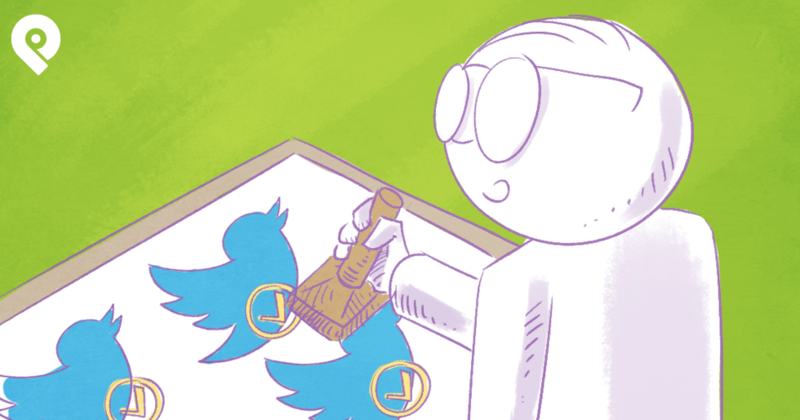 So, over to you: How do you use Twitter videos to gain followers? What strategies do you find most effective? Still not convinced that Twitter video can be effective? Take a look at this awesome Twitter's Annual Online Video Playbook from AdWeek.